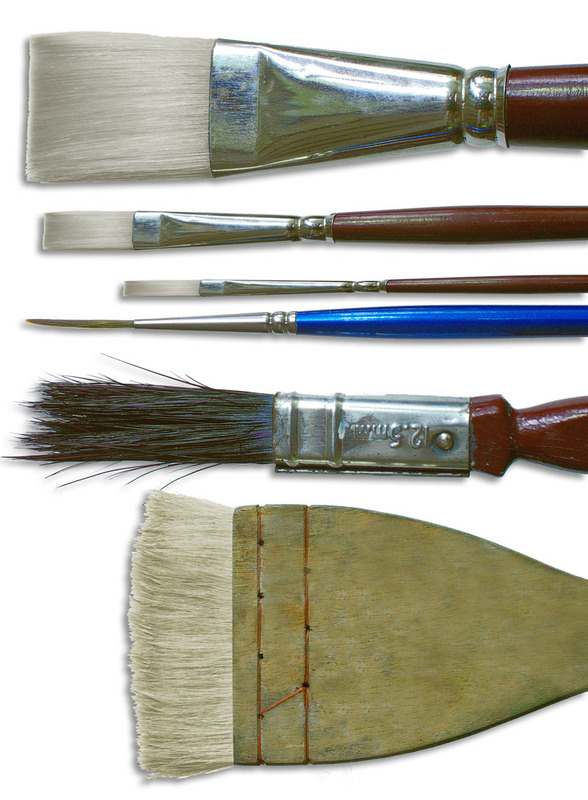 Traveling and painting on location requires a trimmed down, portable collection of paint, brushes and accessories. 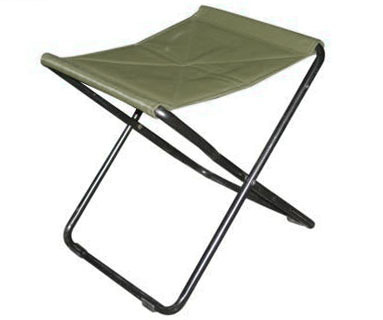 Everything, including a small folding stool, should be easily carried in a small backpack. For International workshops we will be walking into and out of many of the painting spots so here is a list of all the necessary equipment. You may want to add a few things to this list, but the important thing to remember is that you have to be able to easily carry everything, so don’t pack too much! I also carry Permanent Rose, Cobalt and Aureolin – but you can get by without them. I also throw in a couple of tubes of acrylic paint Medium Magenta is my favorite at the moment. Burnt Sienna pigment ink (Art Spectrum) Screw cap on tight and seal in zip lock plastic bag. The plug in the top of the Art Spectrum in bottles acts as a seal so don’t throw it away. 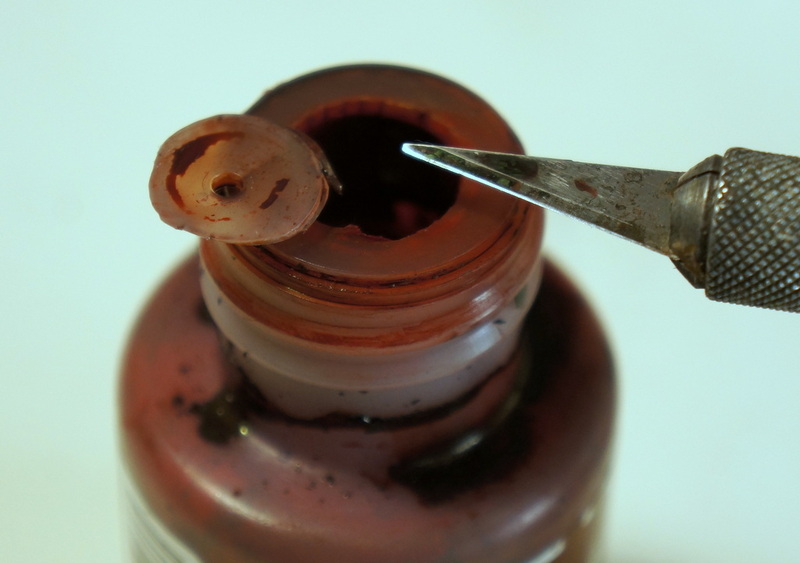 Cutting a larger hole in the top of the plug with a sharp knife, allows you to dip your pen in without removing the plug, while retaining the seal. 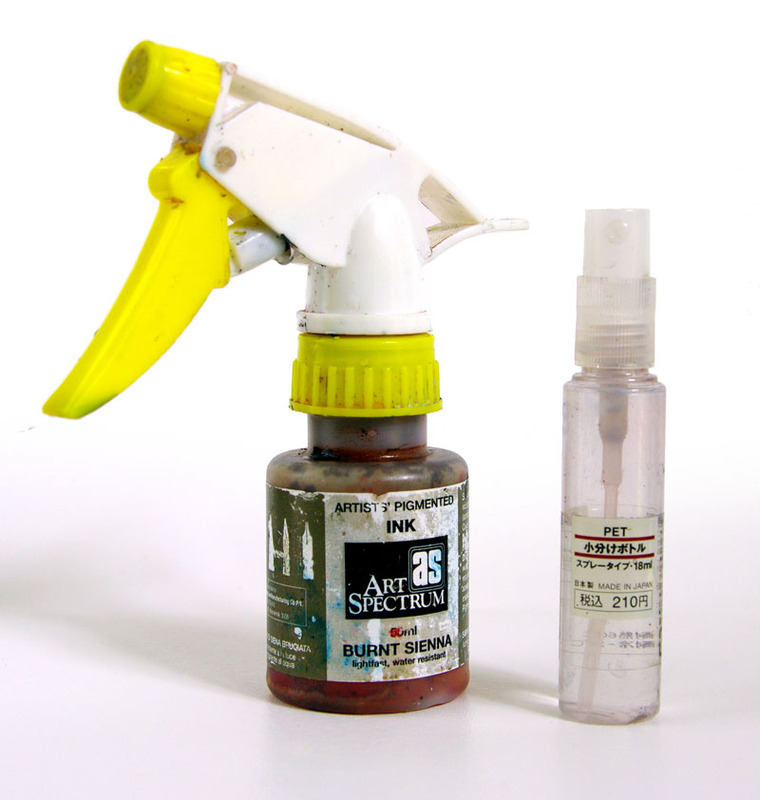 Avoid travelling with the eye dropper type ink bottles – they always leak. Handy for adjusting the amount of water in your brush. A black and a white charcoal pencil. Small atomizer type sprays are best for traveling. If you can’t find one of these, cut down the tube on a normal spray bottle to screw onto a smaller container. This one is screwed on to an old ink bottle. I prefer Arches Watercolor blocks 300gsm (140lb) 26x36cm (approx.10″ x 14″) or I carry sheets of arches paper cut into quarters and tape them onto a core flute backing board with masking tape as I paint on them. For two weeks I carry around 25 quarter sheets. Coreflute is the double walled plastic real estate signs are printed on. It is available from large hardware shops or sign writers will often have off cuts. It is easily cut to size with a Stanley knife and weighs next to nothing. Some people are happy to sit on the ground and paint, some are more comfortable sitting on a seat. The most stable small stool for its size is the type shown here. There is a smaller three leg stool with a triangular seat available, but they are not very stable. I normally work sitting down with my painting flat on the ground, but for demonstrations I stand and use a light weight easel. I much prefer to work flat, but using an easel gives everyone a clear view. This easel packs into my backpack in place of a stool. 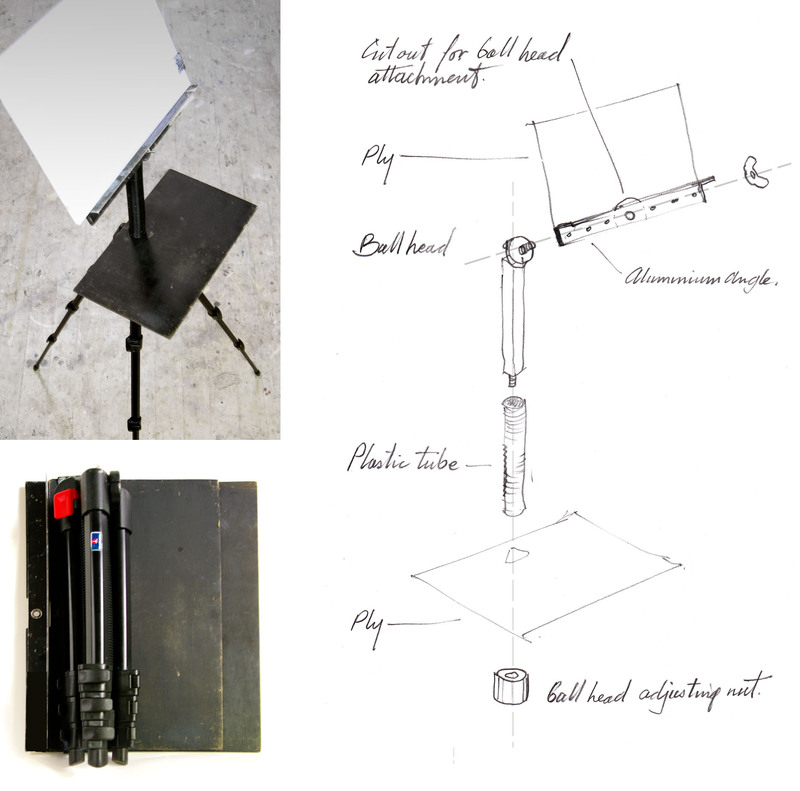 It is a simple device cobbled together from a couple of sheets of lightweight ply, some aluminium right angle, corrugated plastic pipe and a small Manfrotto photographic tripod. Hanging my backpack from the center of the tripod keeps everything stable in windy conditions. If you do decide to bring an easel, make sure it is small and light weight, and you can easily carry it with the rest of your gear. Remember though, watercolor behaves better when painting flat! This entry was posted in Art Materials, Watercolor and tagged Art Materials, painting materials, Painting Outdoors, watercolor materials by splashingpaint. Bookmark the permalink. A fantastic list of what to take, thank you. By following this don’t think anythings left out. Glad you find the list useful. Thanks for the birthday wishes, but due to the strange habit we have of placing the day before the month when we write the date, you are a few months out. Should be 2nd Oct. rather than 10th Feb! Thoughts much appreciated anyway Jo. 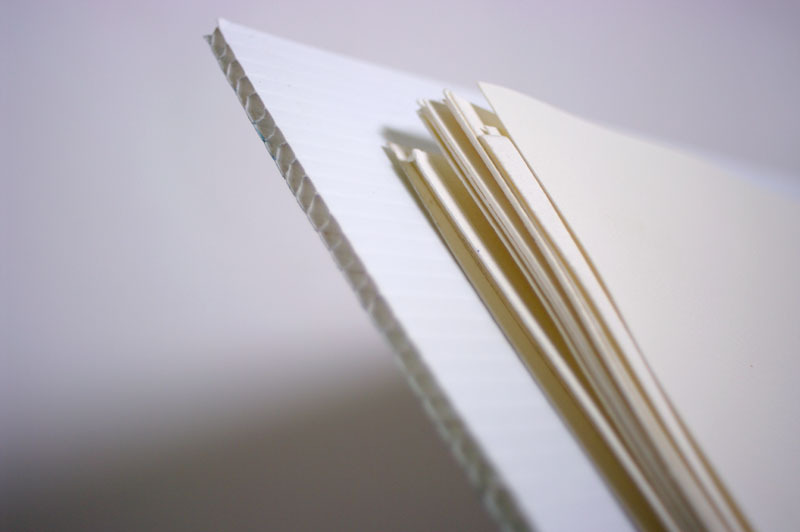 Love the journals you have on your blog at the moment – fantastic! I’ll fix the date in Outlook. You’re not the first person I’ve wished happiness to when it’s the wrong date… but when you’re wishing anyone good things it’s never the wrong date, is it? Thanks for your comments on my journals. They’re fun and they combine my present love of paper and paint with my former life spent sewing. Are you still using the same palette as listed? I have purchased your book “Getting Started” and love it but saw that you are writing another book. I would love to purchase a copy when it’s printed! Thanks for your response. How can I reserve a book? I guess I should have been more explict-are you using the same choice of paints? I wish you taught here in California! !